I am a bit of a late-comer to coffee. I remember as a kid, dunking ginger nut biscuits in my mum's scalding hot, jet black coffee. This was as close to it as I got for many years. I always liked the smell, but couldn't get over the bitter taste. I've visited many a coffee shop in Belfast over the years but have only really fallen for Ground in the past 6 months. I stumbled into the Waterstone's branch almost by accident, waiting for my barbers to open one Saturday morning. This serendipitous discovery has cemented their place as one of my favourite haunts. 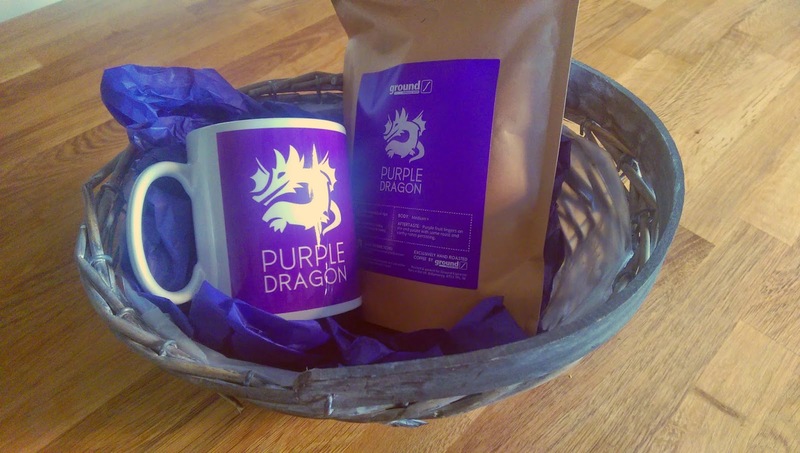 After a rousing Twitter exchange with my friend Sera (in which we praised the virtues of their Nutella cake and cappuccinos) the team at Ground kindly surprised me with a basket of goodies to celebrate the launch of their bespoke coffee blend Purple Dragon. Their unique blend is triple certified by the Fairtrade Foundation, Rainforest Alliance and Organic Coffee Federation and is the culmination of months of research and testing, combining beans from Honduras, Ethiopia and Sumatra. The blend is now available in all 13 of Ground's locations & I am determined to make a pilgrimage to them all. 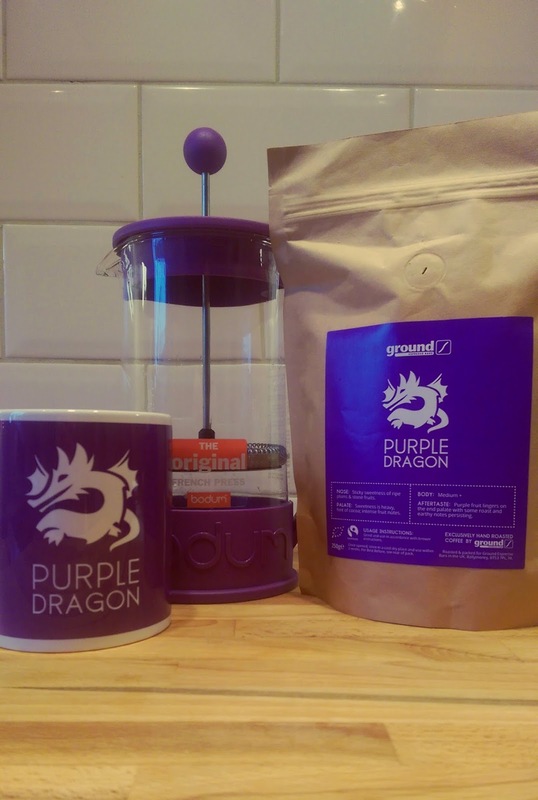 They have just announced plans to open their first store in Dublin with further locations across the province in 2015 so there's no excuse not to chase the dragon now!